You are in a remote area of north-eastern Arizona. Amidst the hot and arid landscape, you encounter a people. The remnants of a Native American Pueblo People: the Hopi. As you learn more about their way of life, their past, their culture, and their beliefs, you gather round and listen carefully to their stories. This is how you hear about the Kachina for the first time. Watercolour and graphite; 21 x 12-1/8 in. Georgia O’Keeffe Museum; Gift of The Burnett Foundation (1997.06.009). It happened many years ago, in an ancient village, whose name has long since been forgotten. A drought, long and consuming, was threatening the existence of this village. For years, this drought had continued, and the people’s food and hope was coming to an end. The Kachina (spirits) saw this and decided to appear to the Hopi in their human forms in order to help end the drought by bringing rain, and growing food, in prayer of song and dance. The Hopi people had never encountered anything like the Kachina before, and were terrified by what they perceived to be evil forces. As they prepared to attack the Kachina, the spirits recognised their fear, and blessed the people through song and dance, healing the sick, bringing food, and rain for the crops. The people were overwhelmed with joy, and incredibly grateful to the Kachina, whom they begged to remain with them as part of the tribe. For years they were able to live alongside each other, prosperity and peace was ensured, and neither thirst nor hunger was experienced. However, the Hopi became lazy and greedy, and were neglectful of their way of life and responsibilities to their crops and to each other. Oil on board, 8 x 8 inches. Gift of The Georgia O’Keeffe Foundation. The Kachina saw this, were deeply saddened, and knew that they had to leave. For, it was the result of their interference which had led to this turn of events. The Hopi tribe begged them to stay, but to no avail. However, before departing, the spirits left them with the knowledge of how to properly perform ceremonies to harness the power of the elements – with ceremonial dress and song and dance. Only when the ceremonies are correctly performed will the spirits act as messengers to higher gods to bring the rains and healing. 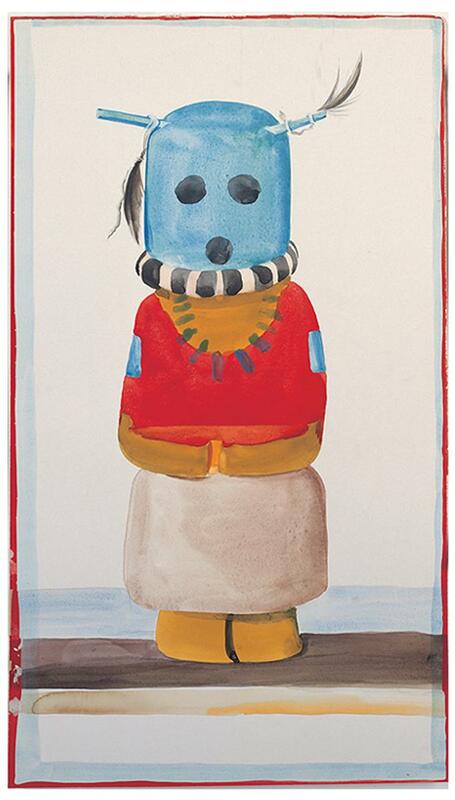 The Kachina promised to return to visit the people for 6 months of the year, to bring spring from the winter, to bring the snow and the rain, and to aid in the planting and harvesting of the crops. 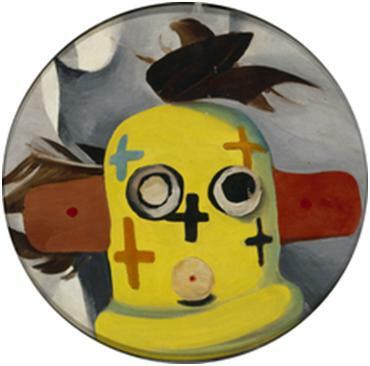 This is the legend of the Kachina. Within the Hopi people, there are currently around 20,000 natives who live in the Arizona and New Mexico reservations. It is here, that you will be able to encounter the Kachina for yourself!